Are you planning to get a Windows Replacement in Bel Air? 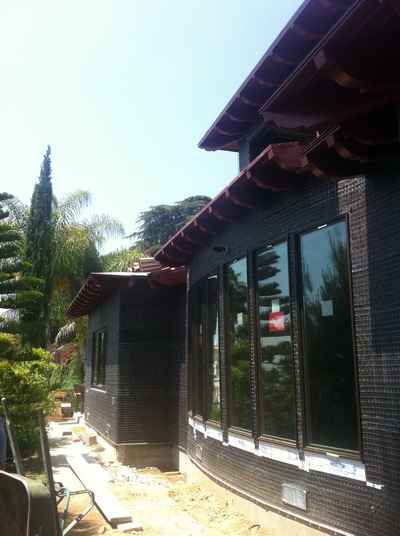 Intex specializes in windows and replacement in Burbank using quality Milgard Essence Wood Windows. Whether you have a residential or commercial property, our highly trained professionals are up for the job. You can trust us to walk you through the design, and selection of your custom window or door project from beginning to finish. Our staff will work with you to choose the optimal replacement windows or doors for your needs, according to your budget. Our customers come back time and time again because they know they can trust Intex to do an excellent and thorough job. That’s also why we get most of our business through word of mouth references. Don’t miss out on your opportunity to get the best quality windows and doors at an incredibly affordable price. You might think that buying new windows or doors is expensive. However, high quality windows and doors add value to your property through not only beautiful design, but also energy efficiency. They can increase the value of your home or building, and save you money immediately after installation! Don’t waste money on flimsy brands that only last for a short time. You’ll end up spending more money to buy new windows again, and trust me, you don’t want to go through that hassle. Besides, leaky windows and doors can actually damage your property. You’ll wish you had chosen high quality Milgard Essence Wood windows instead. Besides high quality products, being a certified distributor of Milgard, we also support our installation professionals with top of the line training and instruction. With many years of experience installing Windows Replacement in Bel Air of all types in all kinds of situations, they are prepared to serve you in all your window and doors needs. They are courteous and responsive to your requests. We promise to leave your property clean and much more beautiful after your window or door installation. When you invest in your Milgard Essence windows, you can be sure that our experienced staff will work meticulously to craft your installation to your unique building structure to ensure the a best long-lasting fit. You won’t have to worry about faulty windows or doors, or perfectly good windows and doors installed incorrectly. Our professional staff is trained to inspect every job carefully because declaring success. You can also contact us at any time with questions or concerns about your new installation. You are our valued customer, and we will do everything in our power to give you quality windows and doors that you deserve. Feel free to browse our catalog of beautiful windows and doors and select ones that appeal the most to you. Our team will take care of all the measuring so all you have to do is relax and dream about you brand new beautiful windows and doors. Beautiful windows add light to a home, and bring the outside in. Enjoy the light from a sunny window, or a view to a splendid backyard. Your quality Windows Replacement in Burbank or doors will give you many years of joy and enhance the appearance of your home. Strong and beautiful doors also make a statement even before guests enter your home. Our doors withstands, wind, rain, and provide safety for any home. Unwelcome visitors will not be able to easily get into your home! Both our windows and doors can save you money too! They keep the heat in during the winter, and keep the heat out in the summer, saving you hundreds or even thousands of dollars in energy bills. Within a few years, your new window or door installation could easily pay for themselves with the money saved from gas or electricity bills.